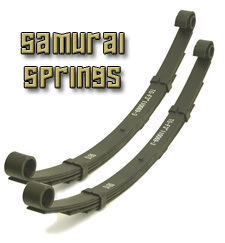 Front and rear Suzuki Samurai leaf springs Provide 3" of overall lift . With a Military wrap on the fixed end and a spring center pin set up for spring under configuration . Each kit includes front or rear springs . In order to keep our price as low as possible , spring bushings are not included . Suzuki Samurai Front Leaf Springs 3"
Suzuki Samurai Rear Leaf Springs 3"
Suzuki Samurais are vehicles that could be turned into unstopable trail machines with very little modifications . One of the most popular and effective modifications is a Spring Over Axle Conversion , which is where the springs of the vehicle are moved and placed on top of the axle , as oposed to the factory spring under suspension setup . This conversion gives the vehicle clearance to run larger tires and allows for the suspension to flex alot better than the factory setup . This Samurai Spring Over Axle Conversion Kit comes with all the needed parts to install your spring over on both the front and rear axles . DOT approved extended brake lines and 9/16" u-bolts are included in the kit along with with laser cut , CNC formed 1/4" spring perches . This kit includes billet driveline spacers with all needed hardware to minimize the cost of having your drivelines extended at a driveline shop . Note: Replacement shocks and steering modifications may be required . These Mini Spools fit 86-95 Suzuki Samurai and 89-00 Sidekick rear applications. The mini spool installs into a standard 26 spline rear open carrier with no additional parts required and offers you the same traction as a full spool at a fraction of the cost. Low range gears are critical for technical off-road driving . 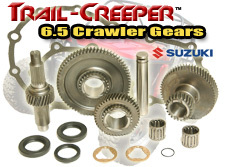 This Samurai low range gear kit offers a Low Range reduction of 6.5 to 1. High Range reduction is 20% (1.7 to 1) . This complete kit includes four new precision cut gears , counter shaft , needle bearings , shims , o-ring , gaskets , and input/output seals . 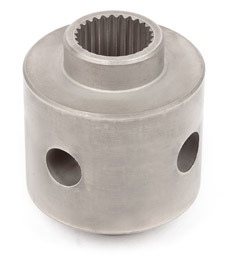 Heavy duty front output shaft recommended (see below) . Minor grinding of case is necessary for installation . 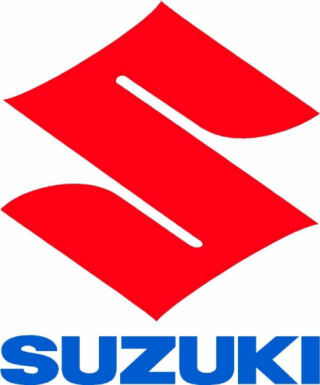 Fits 1986-1995 Suzuki Samurai's. 15 lbs. If you're planning to run with stock axle gears , the high-range gearing of this kit is ideal for street use with 33"-35" tires. 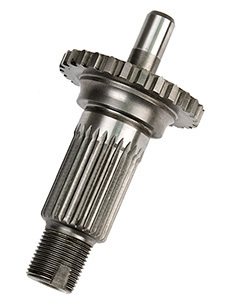 Putting in lower transfer case gears can often sometimes damage the front output shaft . This results in a loud popping noise under load and is detrimental to the life of the output shaft . Repeated popping of the front output shaft gear will result in gear failure and loss of power to the front axle . This upgrade is especially good for transfer cases that have lower than stock gearing in them because the lower the gear , the higher the toque load going through the gear . The front output gear can be installed without full disassembly of the transfer case . Only the front output cover needs to be removed to install this gear . Replace your older gear now and keep it in your tool box as a trail spare . Fits 1986-1995 Suzuki Samurais .